Last updated by monokoma at 13-02-2012 . I remember Fox’s old animation in one of the pre-release videos. I will try to get a shot of that. As for the Shadow Moses Island and Ridley thing, do you have any screenshots or official info to back it up? I would be glad to see it. Oh, and I think we could probably get some videos in here on the unused music, I love most of it. Proof of the Shadow Moses Island thing? I can find it, I bet. As for the Ridley AT? No. There was a file for him on the disc, though. If you need me to submit any other links, I gladly will. There is an unused stock icon for Purin. Master Hand has a classic mode picture. Thanks for the info Slashy, do you know where to find those beta screens with the unused stock icon / classic master hand? No problem! I’m glad I can help with the archive! TheSmashTeam found some removed animations for Fox and Falco. Here’s the link to the video: http://www.youtube.com/watch?v=cywX3x_rQUI . ARENT YOU FORGETTING THAT IN THE E3 BRAWL TRAILER KIRBY’S FORWARD B IN THE AIR WAS HIS ONE FROM MELEE INSTEAD OF THE ONE HE HAS NOW LOOK IT UP!! You forgot something. (this is in the trailer in the release of the game I think) In a part of atrailer when it shows ash (AKA pokemon trainer) doing an arm pump or something, I saw a part of what looks like a cage. Maybe an unused assist trophy traps an opposing player or a beta item perhaps. sorry, anyway he was a beta character. And i dont think this is true but toon zelda might’ve been a beta charaecter. ^What? I think you’re thinking about Roy from Fire Emblem. Yeah, he was beta. -Link’s Up Special worked as it did in Melee- there was no charge. -At Mario Kart, all shy guys drove white karts. -Zero Suit Samus had sound effects when pressing buttons on her gun as if it were a taunt. -In the Fall 2007 Trailer, Snake came out of his box facing the front. This cold have been a beta intro, or just for the video. Forgot- Here’s everything ripped out of Brawl’s ISO. You can download anything from the game. -Jugem is Lakitu, not a beta trophy. And also as always, no problem! And btw, since Brawl hacking has gone so far, I feel like we could make a Beta Restoration for SSBB. Any thoughts? Oh yes, Nintendog was the only Assist Trophy at one point. However, the item was called “Cage” where you opened the cage and summoned Nintendog. The idea was later changed into Assist Trophy. Also, I realized Dread Kong was one of the 38 beta Trophies. Wondering. Could someone please show me exactly HOW the beta models were better than the curent. Cause I think these current are the best Models nintendo’s ever seen! Oh, it summons nintendog. I thought it would trap the lead player or something. E3 2006 Trailer- Gameplay showed much more detailed Models. I also believe the Sub-Space Emissary was originally going to be included on a separate disc, leaving more space for characters and stages. This has Giga Bowser’s assist trophy animation. Unused, of course. There is also a Save Sample in the ISO. Someone should try putting it on their Wii and running it. It could be a save for a very old version of the game! I hope someone will do that and upload a video of it! Right now i’m checking all the trophys to obtain all the beta stuffs. By the way, checking the Falcon’s trophy, i found a big and more detailed texture from his jacket (double size). That texture isn’t in his fighter model. I think this is the only evidence from more detailed models from the fighters. It’s stored in FalcoJacket002 inside the Falco Trophy. The “unused Character Select” sprites of Sheik, Zero Suit Samus, Squirtle, Ivysaur, Charizard, and “Overalls” Wario should be removed. These sprites can be found while playing in the “Tournament” mode during the Character Select and the character select on “The Subspace Emissary”. Overalls Wario can only be found in the Tournament Mode. if capcom and team ninja are going to release street fighter and dead or alive on the 3ds then what’s stopping nintendo from releasing super smash bros on the 3ds. 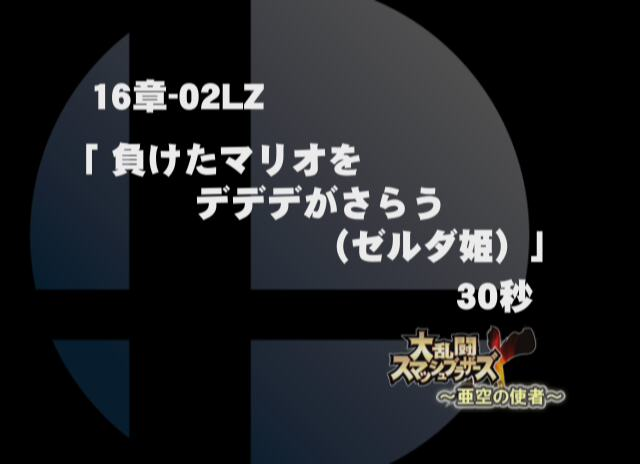 also add a feature that allows you to exchange data between brawl and super smash bros 3ds and even add characters that weren’t used like mega man. i think the name should be one of three following; Super Smash Bros 3DS, Super Smash Bros Rumble or Super Smash Bros Unlimited. Hello, this is Anonymous from February 26 2011 again, CrossForte if you’d like. Ha ha. I would like to point out a few other things that should be cleared up here. -There is no source for the SNES’s Donkey Kong Country ever being a Masterpiece within Brawl, lest copyrights being part of the problem, as it was already available for download through the Wii Shop Channel’s Virtual Console Service in most parts of the world by the time Brawl was released. 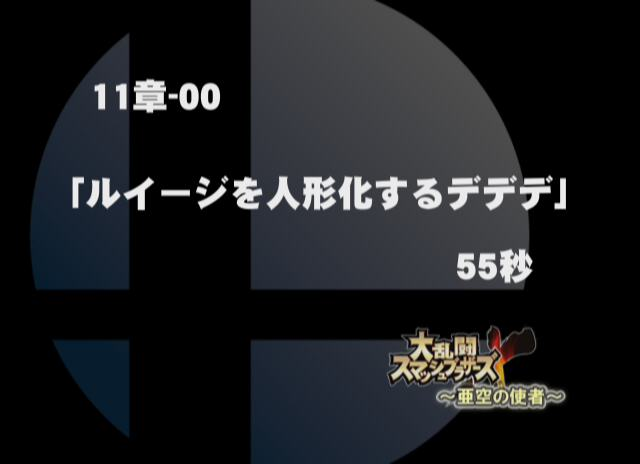 Fire Emblem and MOTHER 2 were used only in the Japanese version of Brawl, and there is no source of either Fire Emblem or Earthbound remaining in non-Japanese copies of the game. -As far as the unused songs go, as to what songs some of them are, including “Forest Maze”, no one can say for sure. In addition, while the file names exist, there is no proof the songs were ever even implemented into the game at any point, just that they were maybe planned. -There is no source for Rosalina from Super Mario Galaxy ever being an Assist Trophy. Take note that also, there is virtually none, if any, mention of Super Mario Galaxy in Brawl whatsoever. -There is no source for the Green Hill Zone ever being called Emerald Hill Zone at any time during development. -There is also no source for Link having longer hair. 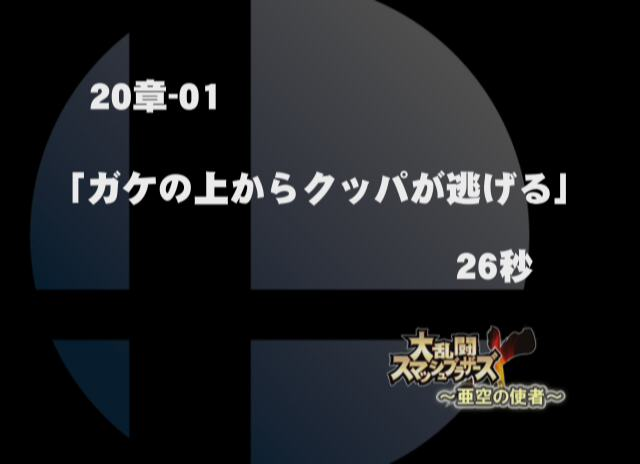 -“Iwata Asks” has no mention of the character roster being completed by E3 2006. Although a couple of reports say Nintendo’s roster was completed by then, SEGA’s Sonic The Hedgehog wasn’t added until 2007, reported June 2007 on top of that. -As far as the unused names of the Kirby enemies being left-overs from the canceled Kirby game go, this no longer seems likely, as it has since been revealed that the Kirby game that started on Gamecube (the canceled Kirby game) is still in development for the Wii, and it’s slated to be released by the end of 2011. -As far as being able to fight on the beach next to the lighthouse on Delfino Plaza goes, this is nothing more than an altered camera angle. In addition, there are two things that can be added to this page. -Originally, each character from a series was supposed to have the same victory theme for one series, but each character’s version of that theme would be different. In the end though, this feature only carried over between the Kirby series characters, as Kirby and King Dedede have the same victory theme, while Meta Knight’s victory theme is a sort of metal version of the Kirby victory theme. -Wolf has an unused “rapid kicking” animation, akin to Fox’s basic attack. While it may not be considered beta, there is something that might also be worth pointing out. The Final Smash attack voices. 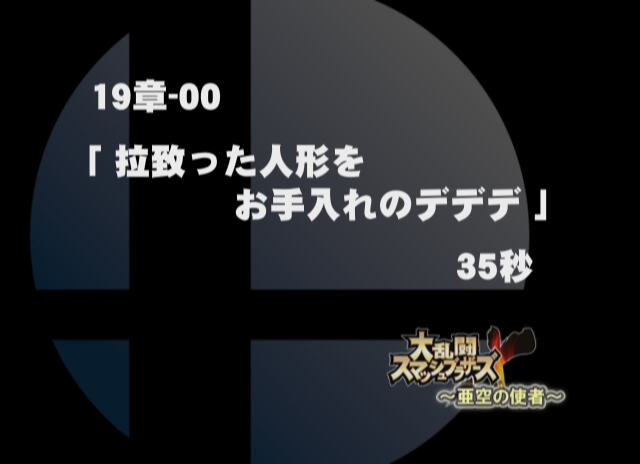 -In an “Iwata Asks” report, it was revealed that some of the Final Smash character voices were, in fact, recorded during the development of the original Super Smash Bros. for the Nintendo 64, 9 years before Brawl was released. As to how many of these voices were actually recorded at this time, this has yet to be confirmed. These voices, which were used in Brawl, were not altered from the original recording, aside from the echo. However, two of these voices have been known to exist. Ness’s “PK Starstorm” exists in the data of the orignal Super Smash Bros. for the Nintendo 64 (although it’s split into two file), while Captain Falcon saying “Blue Falcon” can be accessed in the “Master Sound Test” for Super Smash Bros. Melee for the Nintendo Gamecube. I apologize for going on and on, but I hope maybe you’ll find a thing or two that is helpful for this page, and this site as a whole. Thank-you for your time. -Captain Falcon has a cracked helmet texture. 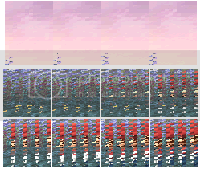 -Luigi has an unused blue texture. The unused blue texture is a slightly lighter version of his used blue costume. -Luigi’s unused Blue texture has an extra polygon, which is the beta model for Luigi colored all white. I have all of the listed above within my computer (except for the alternate Marth image), I can send these files to you, if you’d like. Good news Brawlers Super Smash Bros 4 for Wii U and 3DS has been announced yay!!! Rosalina was an AT, what the crud??? I believe that was said in an interview once with Sakurai. I recognize that kirby and pikachu picture! it was in a nintendo power issue. somewhere in the 240th-270th issue most likely in the 260s. it was in the first couple of pages if someone would like to verify this.